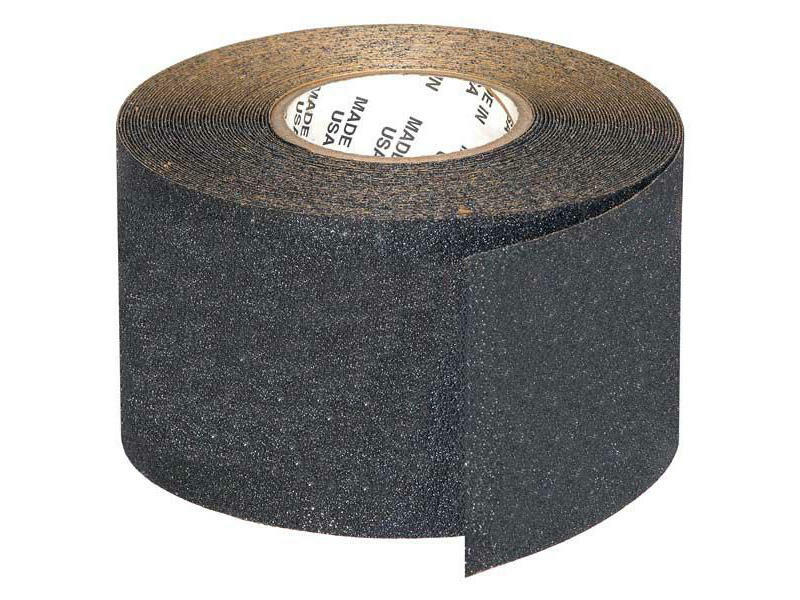 Black coarse grit provides traction and safety on bumpers, steps, loading ramps, fender tops, trailer floors or anywhere foot traffic can be hazardous. Resistant to detergents and solvents. Self-adhesive. Comes in a 60 foot roll, 4" wide.